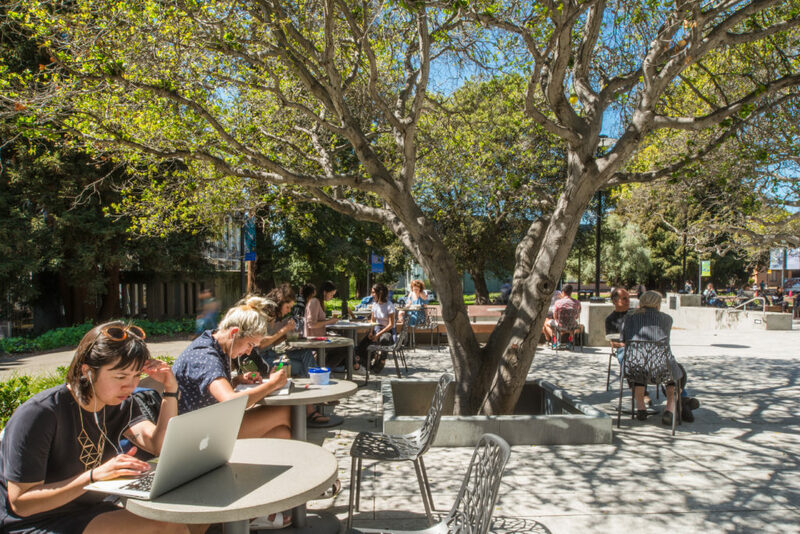 As part of the University of California, Berkeley’s efforts to draw more visitors to the campus, the University replaced an existing cafe with a new restaurant focusing on serving healthy food in a sophisticated atmosphere. 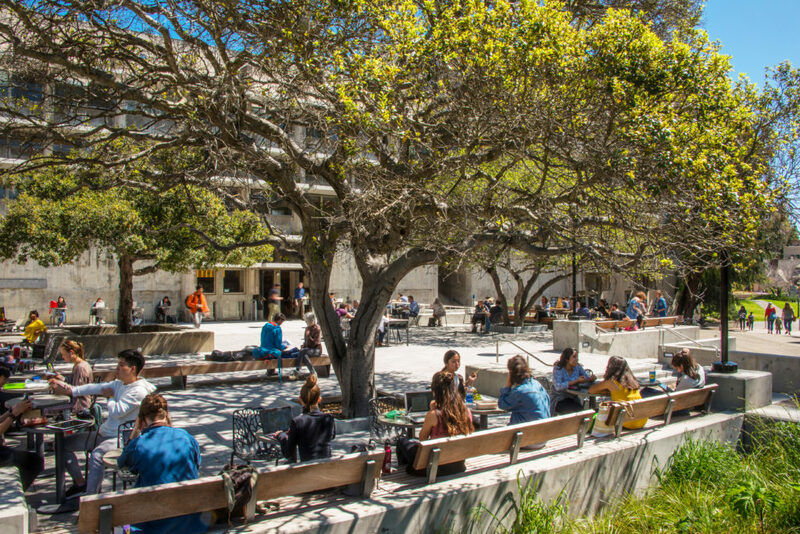 The restaurant is located on the west side of Wurster Hall, home of the College of Environmental Design. 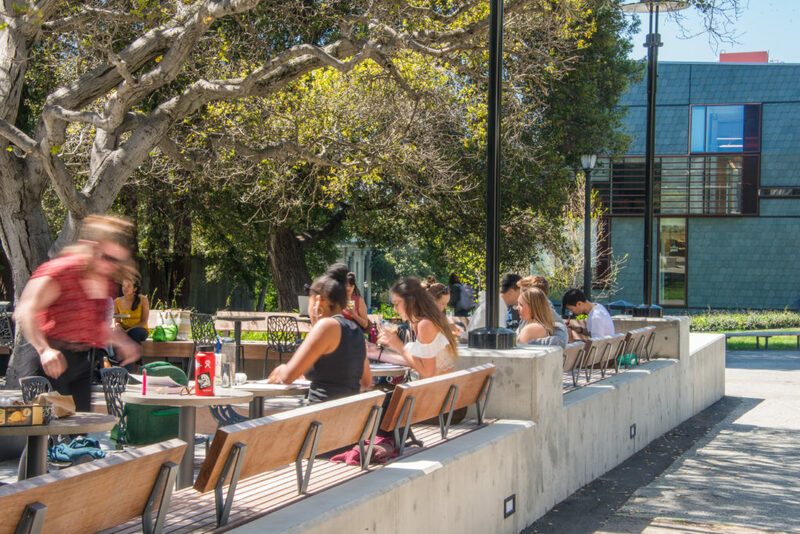 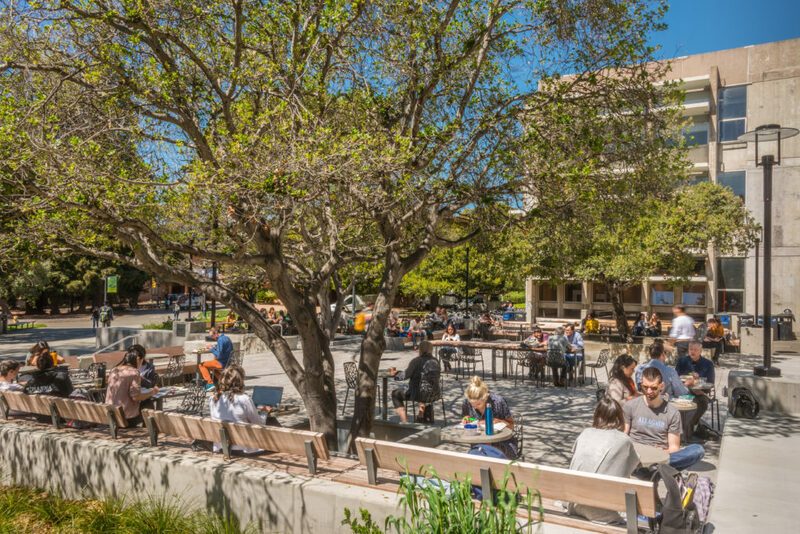 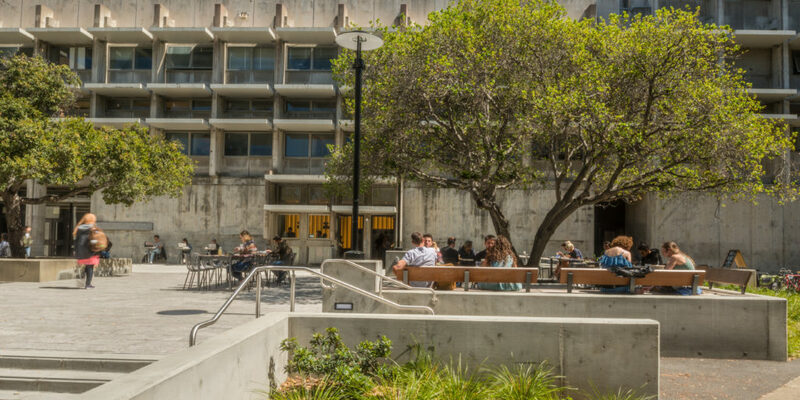 As part of the project, the plaza to Wurster Hall was renovated to provide outdoor space for the building as well as outdoor dining for the restaurant. 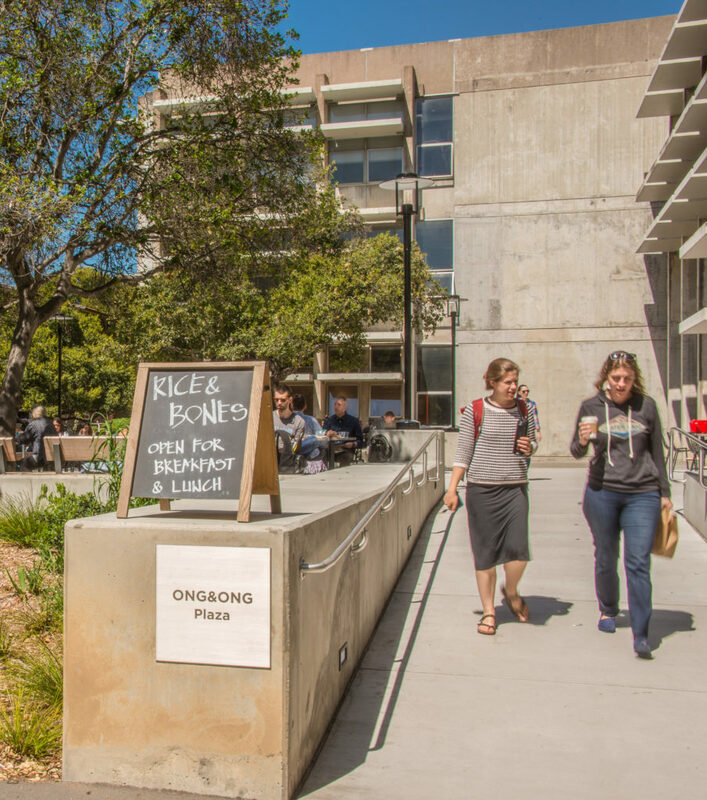 The new space is now known as Ong&Ong Plaza. 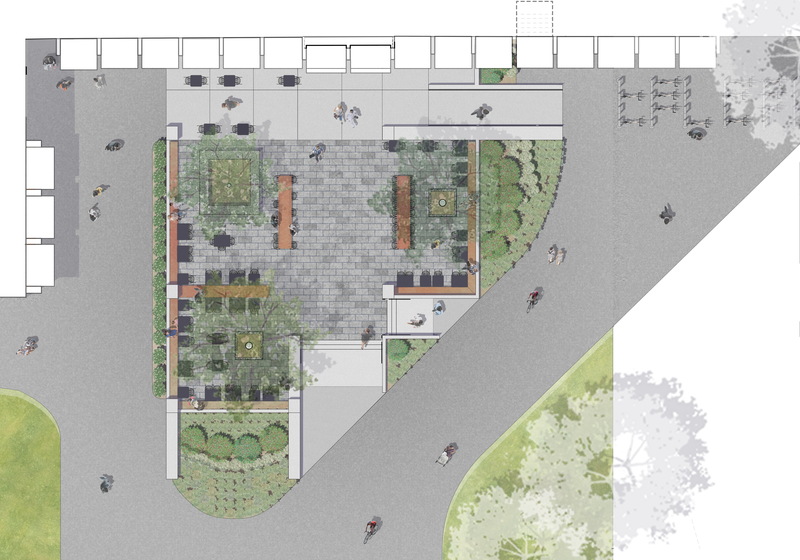 Materials were chosen to be compatible with the building’s concrete structure. 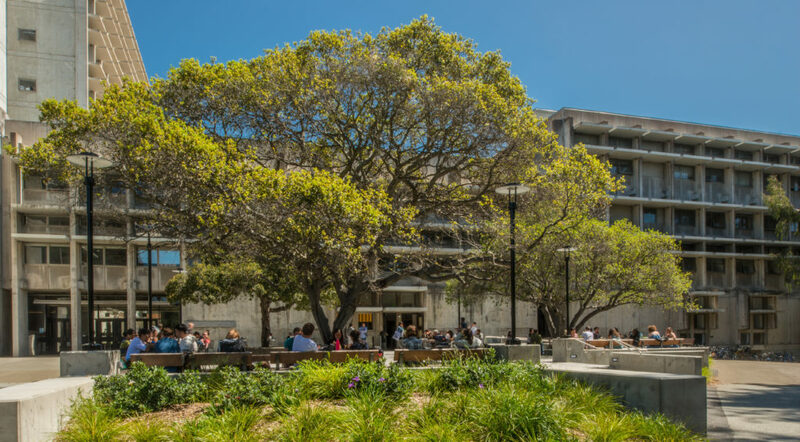 New pavers, ramped entry and built-in benches provide improved access to the building while highlighting the mature Coast Live Oaks. 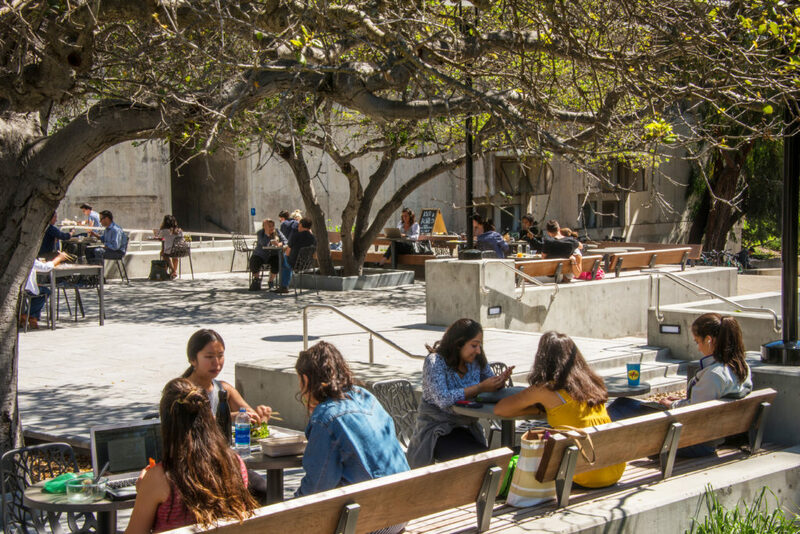 New lighting illuminates the plaza at night, and an outdoor barbecue pit augments the restaurant’s culinary capabilities. 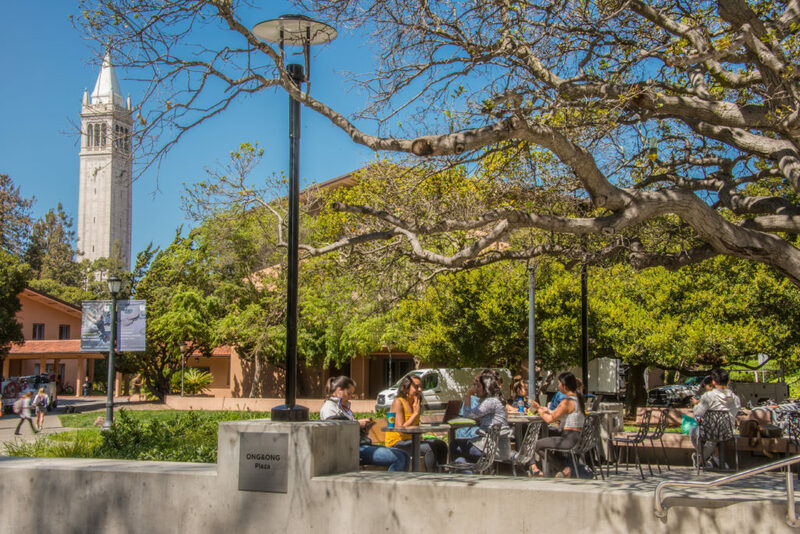 The project also involved providing a much-needed ADA-compliant access to Bancroft Avenue, creating a new gateway to the campus.